In our on-going efforts to improve our business model, NEC Display Solutions is implementing a new resource planning system. To help us plan & execute this transition, the webstore will be temporarily unavailable. If you need immediate assistance placing an order, please call: 866-771-0266 or email salessupport@necdisplay.com. 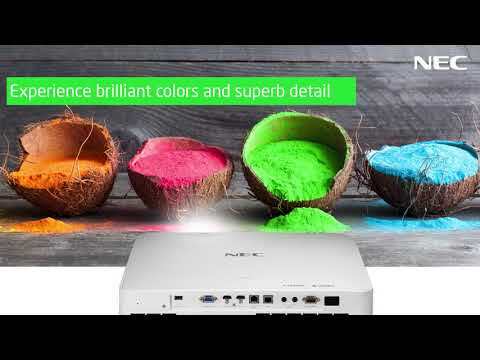 The NEC P525WL Entry Installation Series, LCD, laser projector combines advanced features at a budget conscious price making it ideal for higher education classrooms and corporate conference rooms. With 5200 center lumens, WXGA resolution and improved color fidelity the P Series delivers impressive images in demanding applications. Installation flexibility is achieved with lens shift, HDBaseT, a broad 1.6x zoom lens and tilt free capability. The 20,000 hour laser life and NEC's sealed optical engine creates a maintenance free projection solution. See how NEC has been an advocate for improving education for over 15 years. Click here for more details! Education pricing discounts available on select NEC products! Industry leading 5 year standard warranty on parts and labor! This includes the first year of InstaCare FREE! Registered owners receive a 5-year or 20,000 hours parts and labor warranty including InstaCare next business day exchange. Ensures detailed images when non-native resolution sources are connected to the projector. Powers on the projector as soon as it is plugged into a power outlet. Intuitively syncs the projector with most computer signals and features one-touch image optimization. Presets provide for adaptive color tone correction to display properly on non-white surfaces. Calculates the positive effects of operating the projector in ECO Mode, which is encouraged by an optional message at startup. A green ECO Mode button on the remote control makes the switch easy. Allows for horizontal, vertical and diagonal image correction for aligned images even when the projector is set up at an angle to the screen. Provides unified management, including the ability to switch the power on and off for multiple projectors connected to a network. Protects the lamp when the projector is accidentally unplugged or the power strip is switched off. Enables the fan to continue running until the lamp is properly cooled down. Internal sensors monitor lamp temperature and prevent the lamp from powering on. Sealed optical block minimizes the effects of dust, helping to ensure the delivery of crisp, distortion-free images. Extends lamp life, lowers audible noise and reduces total cost of ownership. Allows for distortion-free display of content in various orientations, creating new application opportunities. Vertical and horizontal lens shift enables flexible projector placement. Enables projector to automatically turn off when an incoming signal is not detected from any of the inputs. Allows users to begin presenting within 3 to 4 seconds and allows immediate power off with no cooling required after shutdown to ensure efficient energy usage. Enables the user to monitor and make adjustments to the projector from a remote location. Allows the projector to be rotated freely (360°) in order to point up or down depending on the installation requirements. Permits playback (without a PC) of presentations or display images stored as JPG files from a USB flash drive. Adjusts the volume of an external speaker system using the projector's remote control. Used over the VGA cable to control the projector directly from a computer without the need for additional control cables. Integrated RJ45 connection for quick connection to the LAN (10/100 base-T capability). Allows you to transmit images from a PC wirelessly to the projector, eliminating the need for traditional cumbersome cables. News of NEC's latest projector launches, the P525WL and P525UL, is featured. 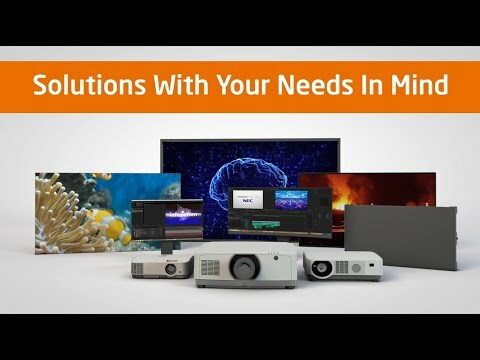 Both projectors provide a flexible, affordable, no-maintenance solution for projector installations in higher education classrooms, conference rooms, and other locations where high-quality image is desired. Commercial Integrator breaks down why the P525WL and P525UL are perfect upgrades for conferencing and higher education environments - and how both options provide flexibility and affordability where high-quality images are needed. Commercial Integrator features NEC's P525WL, P525UL, PX1005QL, PH2601QL, and PH3501QL, projectors in their round up of the 23 best projectors for commercial use. 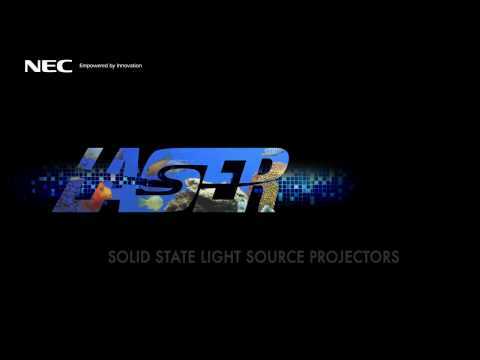 Projector Central reviews the NEC P525WL WXGA LCD Laser Projector. Warranty Length: Registered owners receive a 5-year or 20,000 hours parts and labor warranty including InstaCare next business day exchange. Adjustable Extension Column, 6" - 9"
Thanks for taking the time to contact us Please fill out the form below and one of our sales representatives will be in touch within 2 business days. If you would like to speak to a sales representative, please call 866.NEC.MORE (866.632.6673). We're sorry, but this product does not offer service plans for personal residences. We're sorry, but this product does not offer service plans for commercial buildings. Good News! You already have an account!